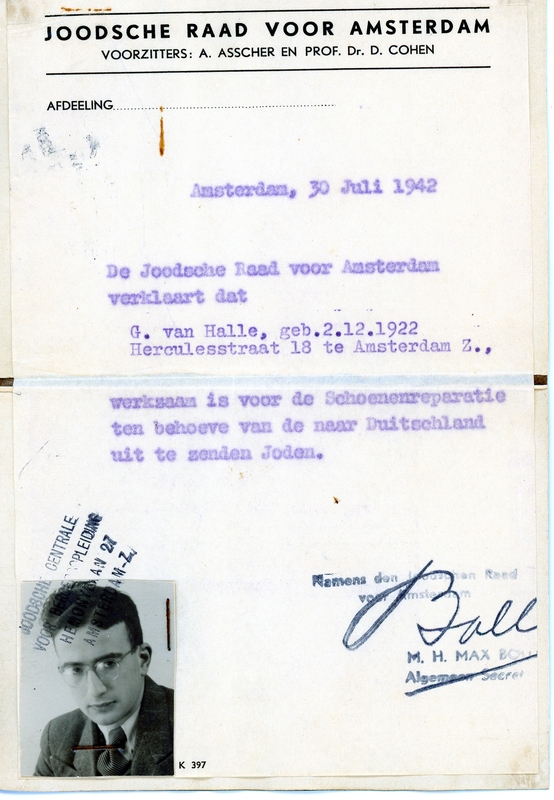 This identification booklet, issued by the Jewish Community in Amsterdam, dictated that my grandfather was employed as a shoemaker for the Jewish community. I believe this was on the documents my grandfather had to perpetually carry around. My grandfather told me that because he was designated as a “shoemaker for the Jewish community” it kept him off the deportation list. This is also one of the only photos taken during German occupation/Holocaust. There is something both equally sad and eerie looking at this picture. He had already lost his brother, and his expression is so overtly solemn I cannot help but immediately feel a sense of loss.